The bottom hole pressure (BHP) of managed pressure drilling (MPD) is a typically unstable object with hysteresis that is difficult to be directly controlled. However, at the present stage, BHP control still focuses on conventional PID control and simple intelligent control, requiring repeated data alignment. There are some related problems, such as lack of control over BHP, longer working hours and high cost of drilling. In order to increase economic effects of MPD, this paper analyzes the MPD system and utilizes wellhead back pressure as the controlled variable. According to throttle valve features, basic parameters and boundary conditions of MPD, a mathematical model of throttle valve is also calculated. 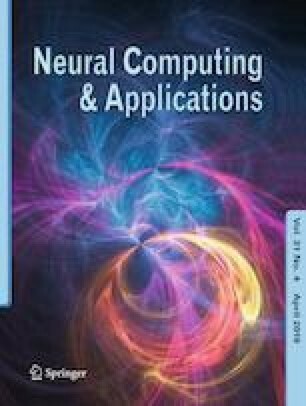 Besides, this paper focuses on studying the control model and proposes an improved particle swarm algorithm to optimize PID neural network (IPSOPIDNN) model. This model is improved based on inertia weight and fitness function of conventional particle swarm algorithm. Moreover, the particle swarm algorithm is used to optimize the initial weight value of PID neural network, shorten the search time for optimal value of particle swarm, and reduce the chance of local minimum. The real-time control results of IPSO-PIDNN are compared with results of traditional particle swarm optimization PID neural network (PSO-PIDNN) and particle swarm optimization PID neural network (PSO-PIDNN). IPSO-PIDNN control system has some advantages, including favorable self-learning, optimization quality, high levels of control precision, no overshoot, rapid response and short setting time. In this way, advanced automation control of BHP is conducted during managed pressure drilling process, thus providing technical support for the well control safety of managed pressure drilling. This work was supported by Sichuan Province Applied Basic Research Project (No. 2016JY0049).